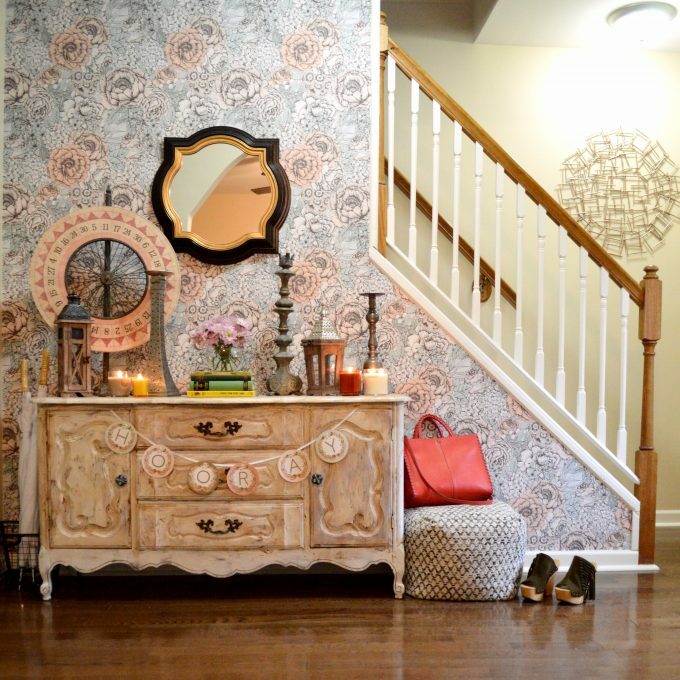 Nothing quite claims ownership of a space like some fabulous wallpaper. 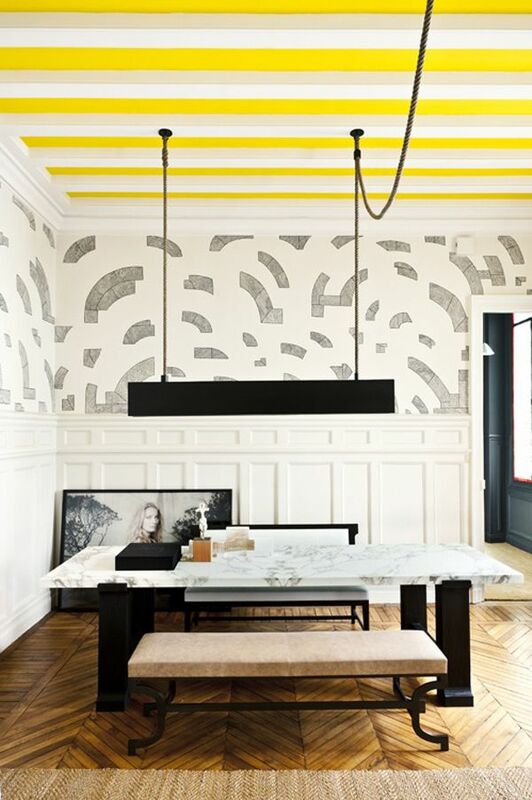 Once you enter the wild world of wallpaper, it’s so endlessly rich and creative, you may find yourself papering your whole house! 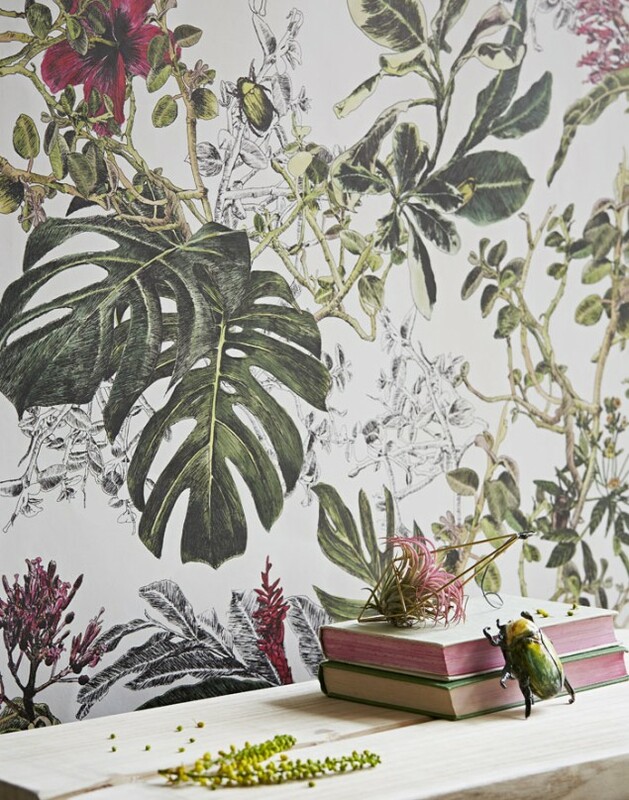 If you’re challenged to actually grow plants given your life/ lifestyle/ space… I highly encourage you to paper a wall in full-bloom lush foliage. These days I am very attracted to the graphic and almost Japanese patterns in super-chic muted colors, like ancient scrolls but modern. 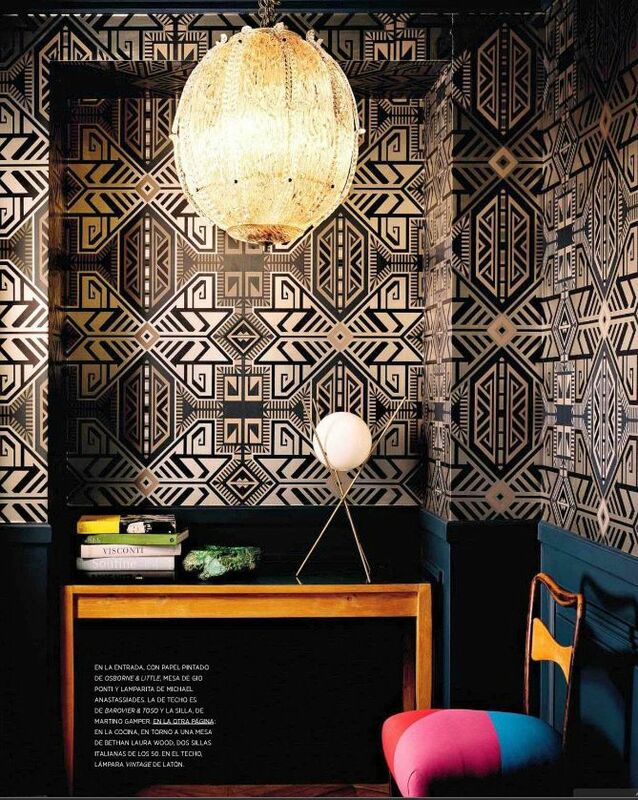 So modern, in fact, that the Walls Need Love paper featured above by Julia Christensen is self-adhesive and removeable. That’s right: it’s peel & stick!!! I’m looking into a small and powerful pinapple-filled kitchen makeover with this lovely stuff! Patterning can be as elegant as a sketch and still create rhythm and motion. This is where wallpaper looks like architecture to me! 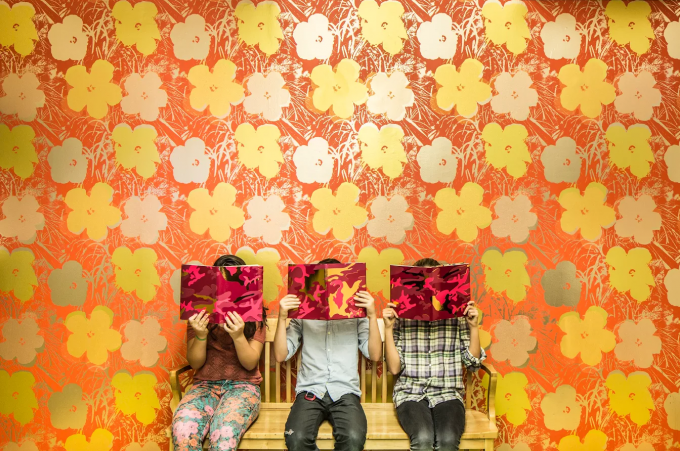 Retro paper patterns pop off of walls. I truly appreciate the spirit of papering a wall behind shelves to create depth. 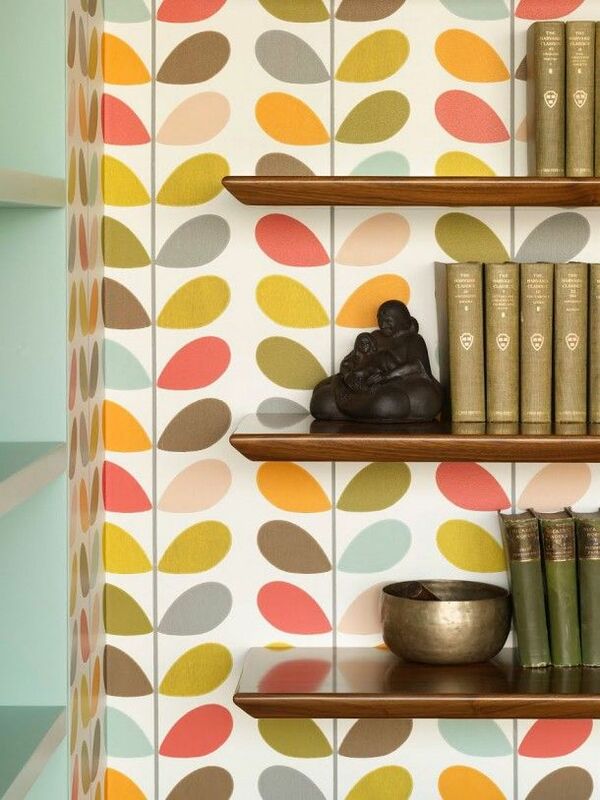 You can paper the back of a bookshelf as a “starter” way to work with wallpaper… it is a fantastic optical effect! When Flavor Paper teamed up with the Andy Warhol Foundation to make Warhol papers, the next level of blanketing homes in art was born. HERE is much moer about the collaboration and their design process. Now…while you all may be super-inspired but may not be clamoring for a roll of wallpaper given it’s steep intimidation factor when it comes to installation, my old favorite show from childhood (really! ), This Old House, gives a great lay out of installing your own paper right HERE! Wallpaper is some of the best kind of art!!! Dive into your own personalized feng shui in a modern, practical way! Say hello to Feng Shui 101. Its the guide I made for you to create your own personalized feng shui at home, in the office, wherever you may be… in 8 weeks. It’s not filled with strict rules or what you “must” do. Its filled with information, questions, exercises and even videos and 3 whole video classes to help you confidently create amazing spaces with killer feng shui and live with more flow. Learn more about the 8-week feng shui adventure & grab your copy to get started right HERE… And, as always, please let me know what happens! Kaleidoscopic Colors To Stir Up Your Home Vibes! Next post: Stay Inspired & Keep Going!